Earlier the application was available only on Windows phone but now Microsoft released it on the Android play store too. To use this you will have to install Microsoft Office Remote PC which you can download from here. After that get application for your phone. Office remote will be a handy tool to manage your presentations as you can use it as a remote control. 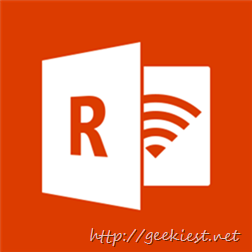 Control your Microsoft office application from your Windows Phone or Android devices.